FSBO Leads load into the system also! 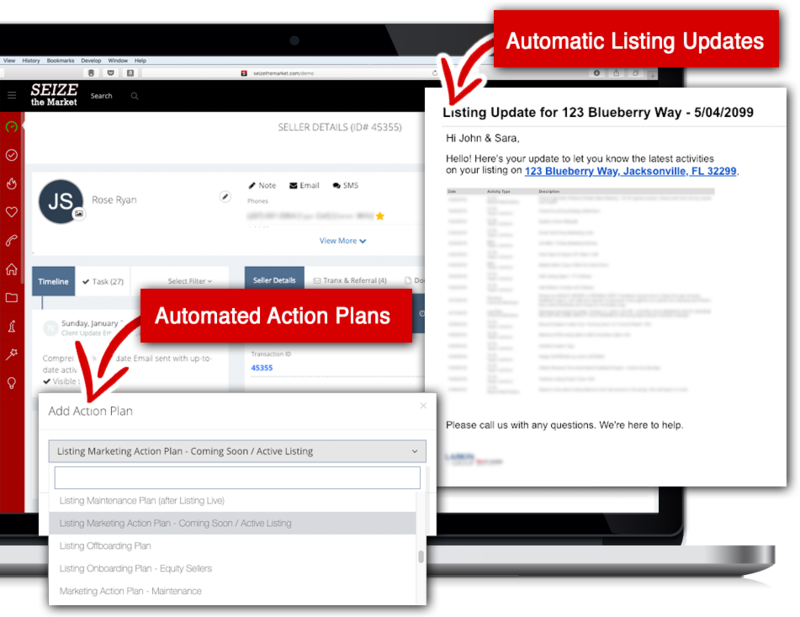 Automate Follow-up to increase conversion! Role Assignments: Closing Coordinator, Assistant, Runner, Agent, Post-Closer, etc. Q: How is Seize the Market different? A: This is a true lead to close all-in-one solution. 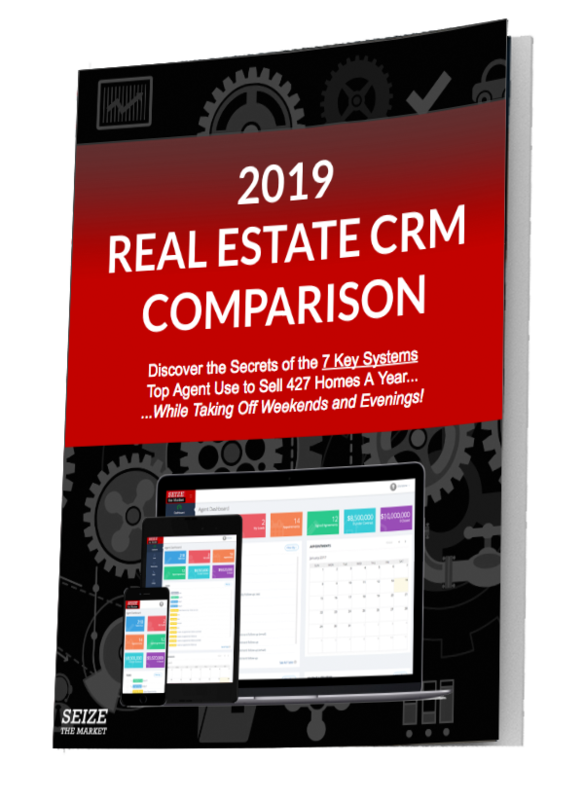 It includes everything from over a dozen different buyer and seller lead generation strategies to transaction management, referral touches, open house and client event management, automated dialer, expired & FSBO data delivery, project management, operations manual to document processes with video integration, automated tracking and reporting and more. Q: Is Seize the Market for agents or teams? A: Both! 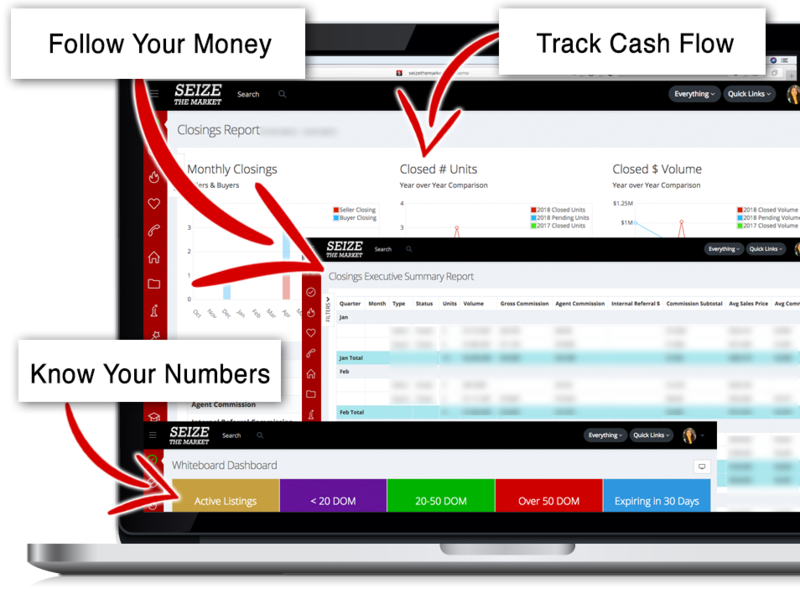 Seize the Market is a solution designed to grow with you whether you’re a team of 2 or 30. If you want to run your business like a business, this is for you. Q: Does Seize the Market have an IDX website? A: Yes. 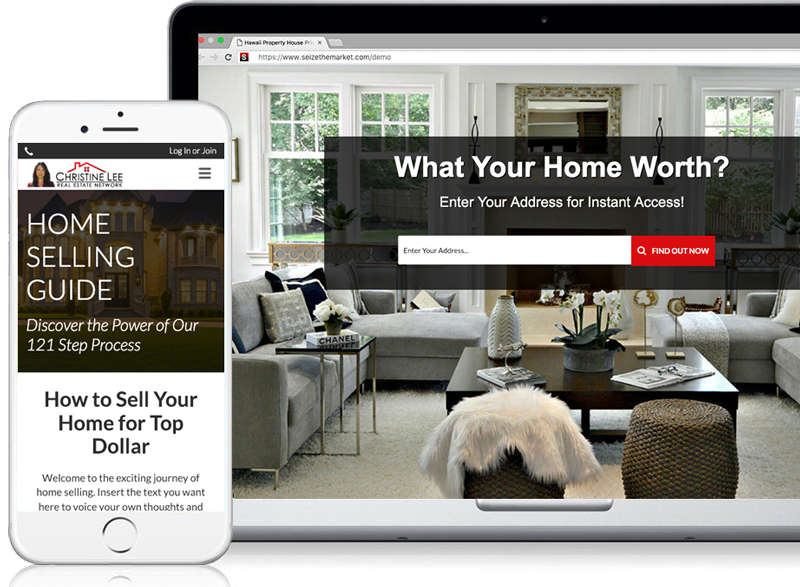 Seize the Market has a fully customized IDX front website that allows you to capture buyer and seller leads and track their activities and homes viewed so you can convert them efficiently. Q: Does Seize the Market include a blog? A: Yes. You have unlimited blog and website pages that you can create using your own content. Q: Does Seize the Market have Transaction Management? A: Yes. 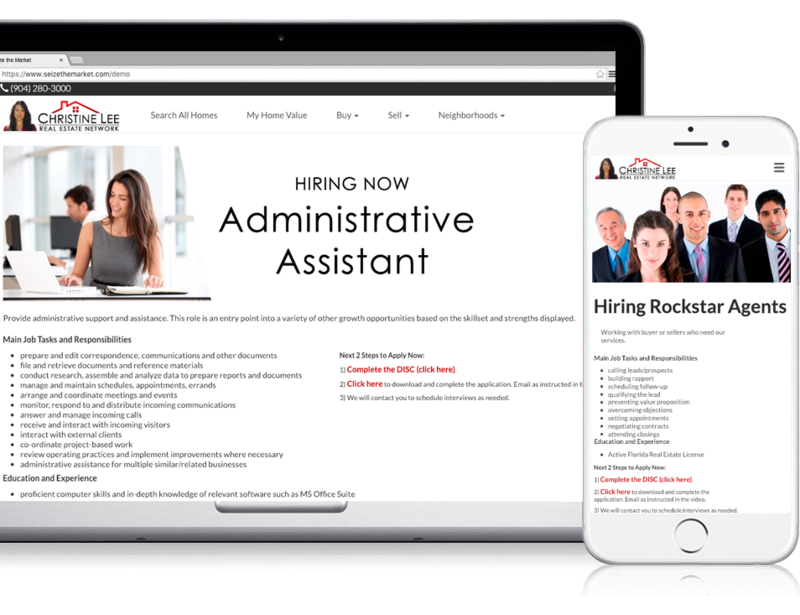 We handle contract to close for buyer and seller leads to provide automation in tasks and workflow management with multiple roles which enables teamwork and automated client touches and communication through the process so your clients experience world-class service. Q: Does Seize the Market have automated Action Plans? A: Yes. 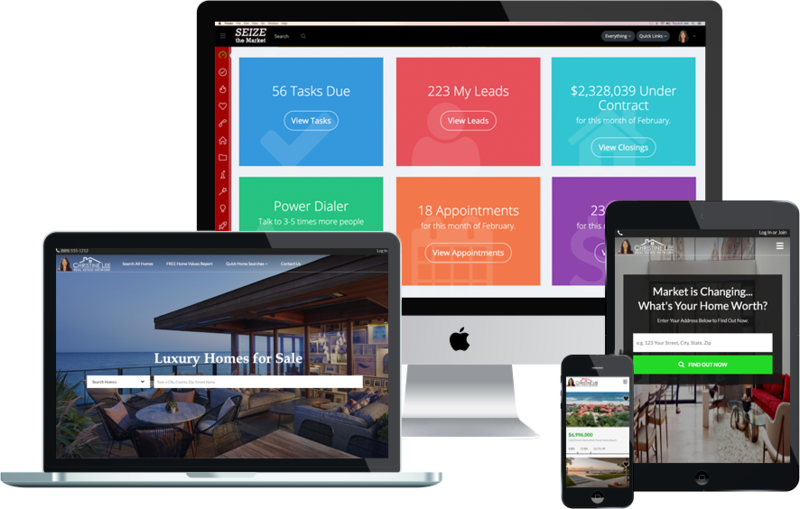 Seize the Market enables you to automate everything from seller and buyer leads, sphere and past clients, recruits, closings, projects, events and more. Q: Does Seize the Market have a dialer? A: Yes. 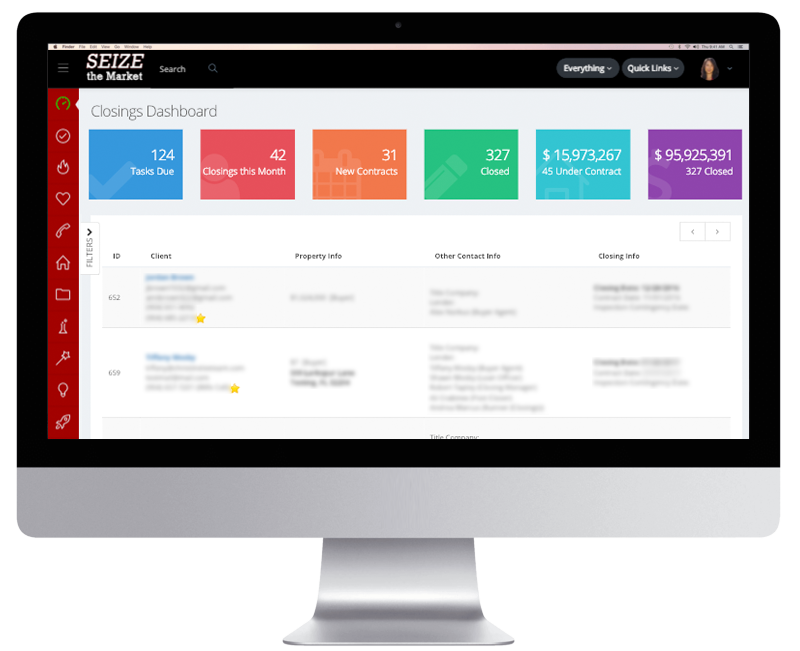 Seize the Market has a fully integrated dialer that allows you to follow-up with your leads with speed and ease. Q: Does Seize the Market provide Expired & FSBO data? A: Yes. 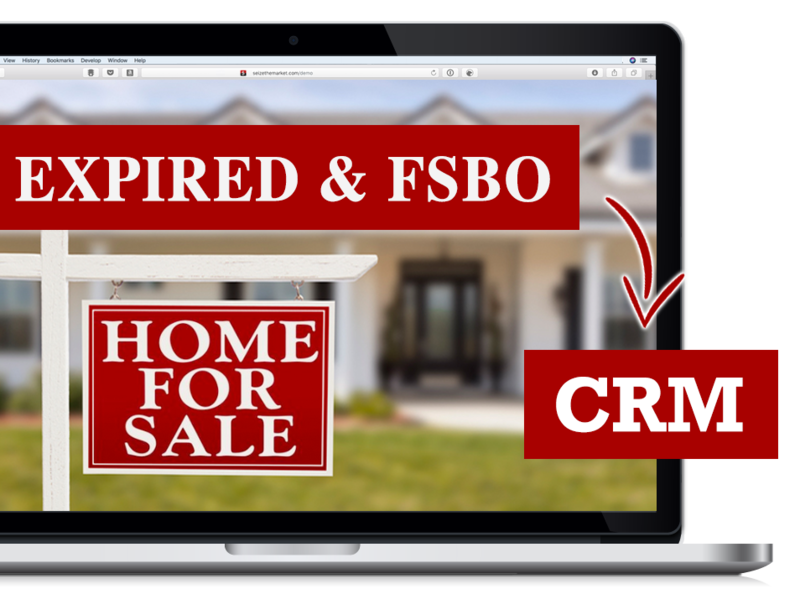 You can get fresh new Expired & FSBO data right into your system every morning. Q: Does Seize the Market integrate with other services? A: Yes. 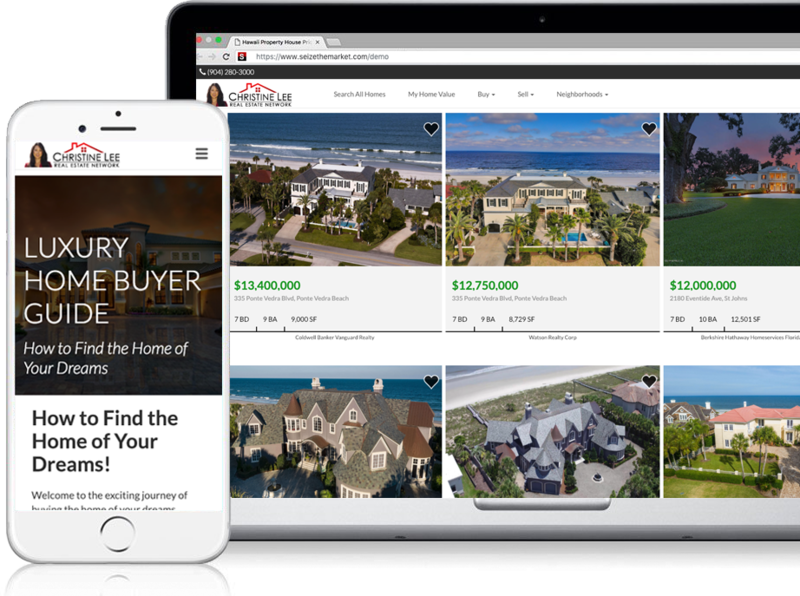 Seize the Market integrates with major lead sources such as Realtor.com, Zillow, Trulia, and more, Google calendar for appointments. 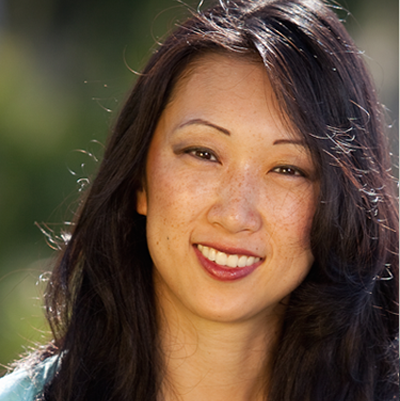 Christine Lee has over 15 years of experience in real estate as a real estate broker, mortgage broker, real estate appraiser, general contractor and investor. She went from being a new solo agent to a team of 15 and top 1% in her market. She went through the bloodshed of hacking systems together and losing track of leads, wasting time due to clunky, inefficient systems. She became obsessed with systems. 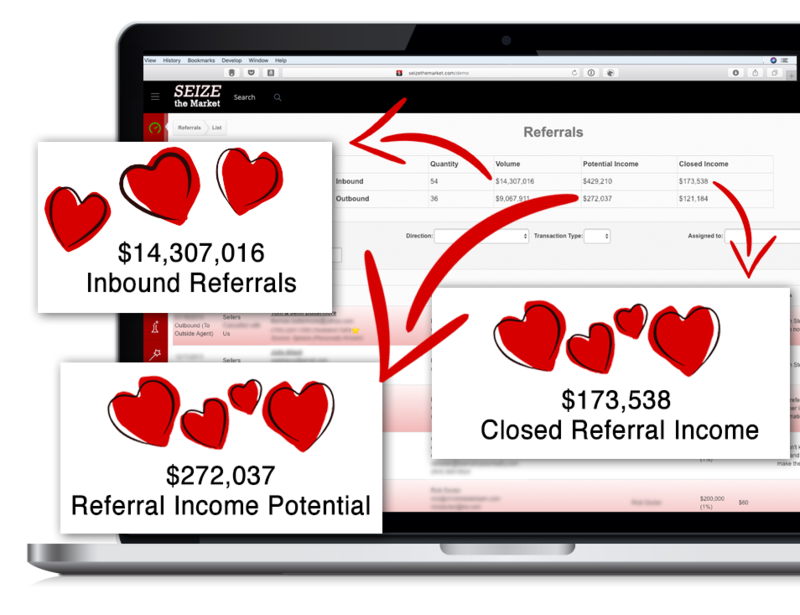 Christine searched all over to find a system that could help her grow and automate her business but they were all partial solutions. There was nothing under one roof that met her needs. She got so frustrated that she took advantage of her geeky tech background (after all, she is asian right? lol) and created Seize the Market. That's literally how it happened. Out of pure need and frustration. In her journey, Christine has been featured as a real estate expert in shows such as HGTV's House Hunters and Bang for Your Buck, radio show host of Getting Real with Real Estate, Homebuyer Magazine and trained and spoken nationally. She has sold hundreds of homes as well as designed, built, and flipped properties. Her mission is to changes lives by empowering agents to run their business like a business so they can find prosperity in their purpose. 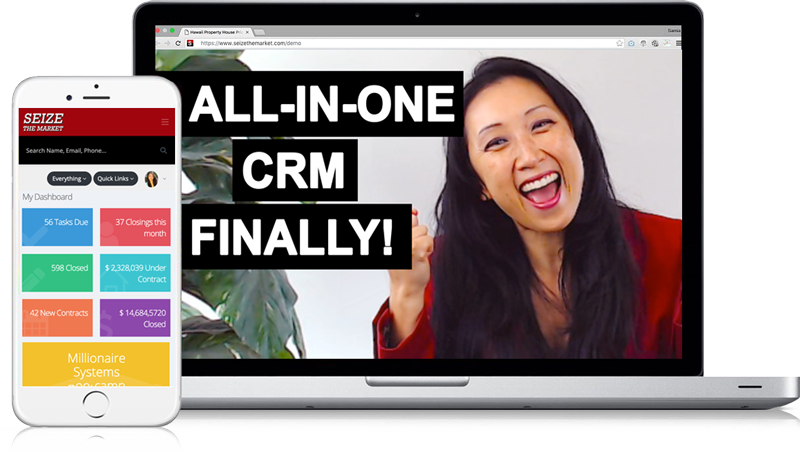 If you've been searching for a system that can truly support your business, look no fruther. 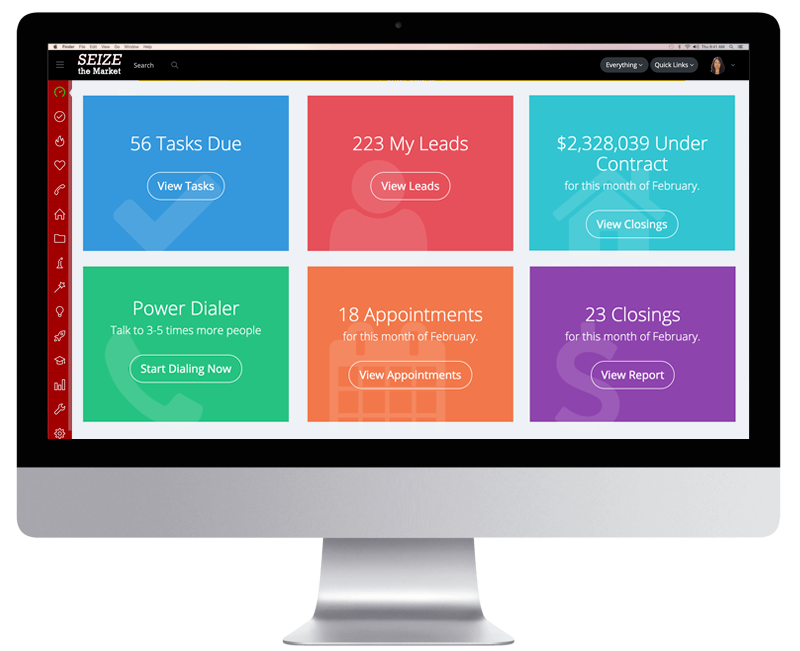 Schedule a demo and see it for yourself.